The latest inductees to the prestigious National Football Museum Hall Of Fame, supported by The PFA, have been announced. Frank Lampard celebrates another goal for England. Pic courtesy of Mirrorpix. This year’s inductees include two club legends who have captained their sides to Champions League glory: Liverpool's Steven Gerrard and Chelsea hero Frank Lampard. West Ham player and manager Billy Bonds, Arsenal goalkeeping great Bob Wilson, and the late Gary Speed are the other inductees selected by the National Football Museum Hall Of Fame selection panel. The inductees were decided by a host of the game’s greats and Hall of Fame members including; Sir Geoff Hurst, Gordon Banks, Sir Bobby Charlton, Peter Schmeichel, Roger Hunt, Kevin Keegan, Bryan Robson, Francis Lee, Trevor Francis, Ossie Ardiles, George Cohen, Norman Hunter, Sue Lopez and Marianne Spacey, making the achievement even more special. Long-term supporters of the National Football Museum Hall Of Fame, The FA have nominated two Lionesses for induction; Kelly Smith, England women’s record goal scorer, and Rachel Yankey, whose 129 caps make her England’s record cap holder. The Football For All inductee, also selected by The FA, is Paralympian and England CP footballer Alistair Patrick-Heselton. The Historian Panel has selected Manchester United’s Charlie Roberts to be bestowed a place in the Hall as a Historic Player. Making 271 appearances for the club, Roberts captained United to two league titles and the 1909 FA Cup. Frank Lampard began his career at West Ham, but was to become an icon at Chelsea. The only midfielder to have scored 150 or more Premier League goals during his career, Lampard announced his retirement early in 2017. He won over 100 caps for England, and his a trophy haul includes 3 Premier Leagues, 4 FA Cups and of course a Champions League title. Chelsea's all-time record goalscorer, he is described by their website as "one of the finest players in Chelsea Football Club’s history, and perhaps the best of the lot." Liverpool icon Steven Gerrard was once hailed by Zinedine Zidane as the ‘greatest player in the world’. Like Lampard, he retired from the game after the end of last year's MLS season in the USA, and is also a Champions League-winning captain, and England centurion. 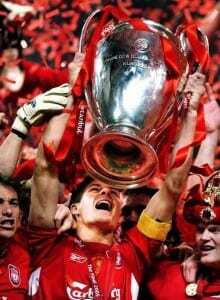 Making over 700 appearances for the Anfield club, Gerrard was voted Liverpool's greatest player in 2013. Gary Speed celebrates scoring for Newcastle, 1999. Pic via Mirrorpix. Gary Speed MBE is to be inducted for his dedication to the game. The former Wales captain and manager, who tragically passed away in 2011, long-held the record for most appearances in the Premier League with a total of 535 during his career, and was a key part of the Leeds United side who were the final winners of the 'old' Division One Championship. 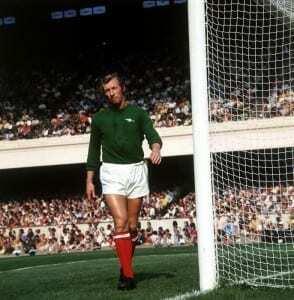 Bob Wilson, who made 300 appearances guarding Arsenal’s goal, was a key part of The Gunners' double-winning side of 1970/71, and was an outstandingly brave and athletic goalkeeper. Following his retirement at the surprisingly young age of 32, Wilson's knowledge of the game led to him being hugely in demand for TV work, and also a coach at Arsenal, where he was a big influence on other Hall Of Fame goalkeepers Pat Jennings and David Seaman. 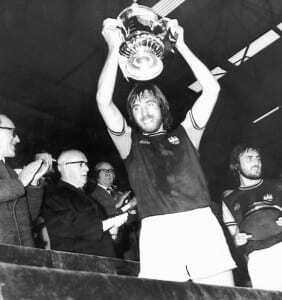 Billy Bonds West Ham captain lifts the FA Cup, 1975, pic via Mirrorpix. Kelly Smith, who retired as a player earlier this year after over 20 years at the top of the game, became the first English female professional footballer when she joined US side New Jersey in 1999. England’s record goalscorer, she is revered worldwide and widely seen as England’s first female football superstar. Rachel Yankey overtook Peter Shilton’s England caps record in 2013 and has made 129 appearances for the Lionesses in all. A multiple trophy-winner with Arsenal, like Smith, winger Yankey has also played in the US and is one of the most successful English players of the last 20 years. The Hall of Famers will all be inducted at a ceremony at the museum in Manchester on 21 September 2017. They will be immortalised next to legends such as Sir Tom Finney, Gordon Banks, Alan Shearer and last year’s inductees Rio Ferdinand and David Seaman, whose career achievements are celebrated with a place in the Hall of Fame, a focal point of the museum. Arsenal goalkeeper Bob Wilson in action at Highbury, September 1973. Pic via Mirrorpix. National Football Museum Interim Director Kevin Haygarth said: “We’re delighted to be inducting nine players who have amazed us with their commitment to the great game. “The decision-making panel is made up of some of the greatest players and managers to grace the game, including some of the 1966 World Cup winning team, which makes the accolade even more prestigious. 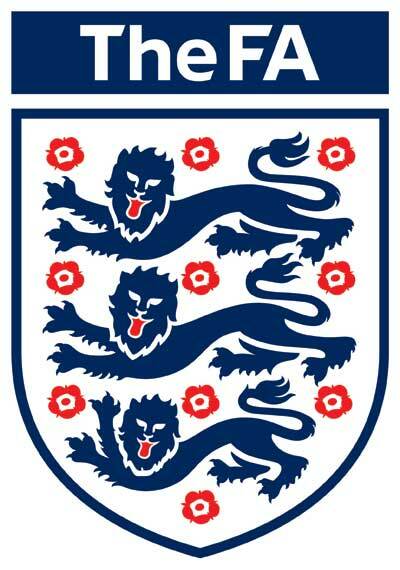 To qualify for nomination players must have finished their career or be aged over 30, and have played or managed in England for at least five years.